CCS Insight report predicts a billion 5G users within the first few years of launch, with China leading the way. 5G networks are set to take off faster than any other mobile technology as users flock to faster and more reliable connections, new research had predicted. 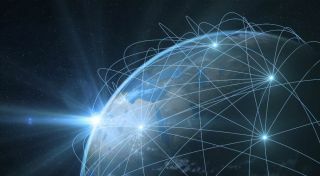 A report from analyst firm CCS Insight has forecast a huge explosion in 5G growth in the time after the first networks are expected to launch, with over one billion 5G users connected by 2023. This huge growth will be particularly spurred on by adoption in the Chinese market, which will quickly account for more than half of all global users within the first few months of launch, CCS Insight predicts. Despite the US, Japan and South Korea currently battling to be the first countries to launch commercial 5G networks, the report says that China will be the biggest market in terms of subscribers. "We see China playing a far more influential role in 5G than it did in 4G. Size, scale and economic growth give China an obvious head start, but we expect network deployments to be much faster than in the early days of 4G,” said Marina Koytcheva, CCS Insight VP of forecasting. “China will dominate 5G thanks to its political ambition to lead technology development, the inexorable rise of local manufacturer Huawei and the breakneck speed at which consumers have upgraded to 4G connections in the recent past." CCS says that European nations may have to wait longer to get connected to 5G networks, possibly up to a year after the expected 2020 launches, but that by 2025, 5G connections will make up a staggering 99 per cent of all mobile broadband connections. The report predicts an expected 2.6 billion subscriptions by 2025, equivalent to one in five of all mobile connections around the world. "The unrelenting hype that has surrounded 5G for several years has seen a diverse range of applications put forward as the main drivers of adoption,” said Kester Mann, principal analyst, operators at CCS Insight. “Some of them will be relevant at different times of the technology's development, but the never-ending need for speed and people's apparently limitless demand for video consumption will dominate 5G networks."